Dredd was a damn fine movie. I watched it in the local movie theater here, and was surprised by how honest it was. It didn't try to be anything else than an upfront stylish action film, and I respect that. Dredd is composed of no fat and filler. It's lean. It's mean. It's fun. 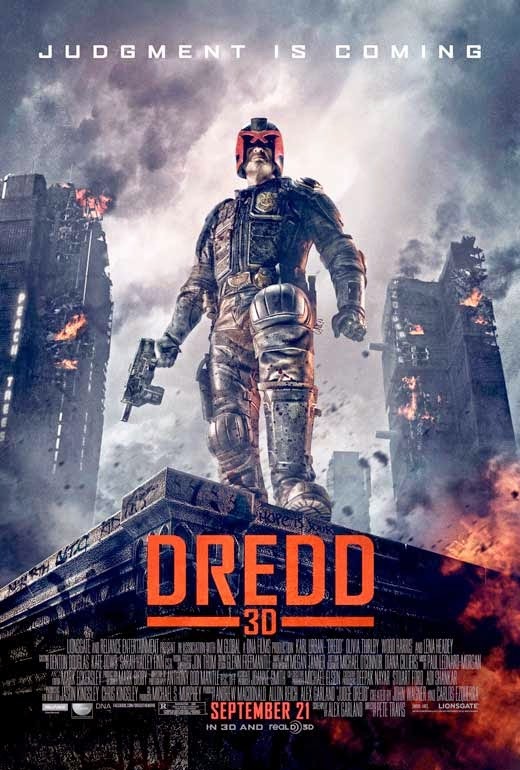 Today is the Day of Dredd, an organized campaign supported by 2000 AD and the film stars to get a sequel off the ground. From my understanding, there's a lot of interest in Dredd 2, but no investor is completely confidant that movie-goers want to see it. Day of Dredd is a push to show that there is enthusiasm, so let's show em we care! Streaming on Netflix or Amazon will help, so will going to the official petition which leads to other things set up for this goal. And did I mention it's a damn fine movie? NOTE: To anyone reading reading this in the future, your support in a DVD or Blu-ray is just as important. Don't let missing the date hold you back.